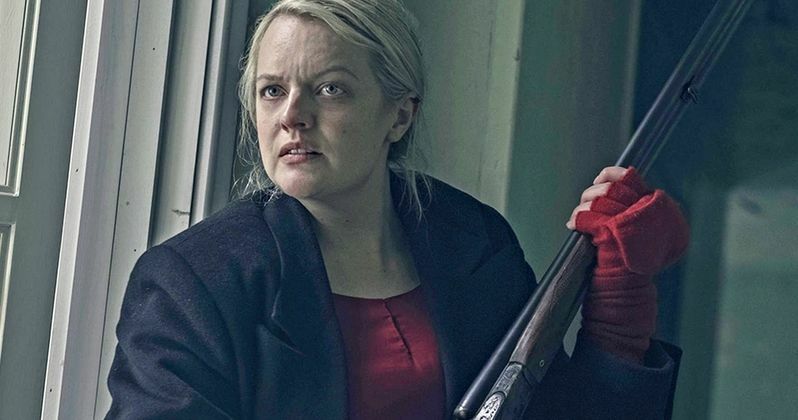 Hulu has finally given The Handmaid's Tale season 3 a premiere date. However, it may be coming a little later than fans of the show were hoping for. The previous two seasons of the Emmy-winning drama premiered in April 2017 and 2018, respectively. But for reasons that officially have nothing to do with the fact that HBO is debut the final season of Game of Thrones in April, Hulu has opted to debut their marquee series a bit later this year. As revealed at the Television Critics Association winter press tour, Hulu will debut The Handmaid's Tale season 3 on June 5. The streaming service will initially debut three new episodes on that date, with ten more episodes to follow in the coming weeks. Hulu senior VP of originals Craig Erwich spoke at the TCAs and explained that the delay has to do with maintaining the show's quality and nothing else. Here's what he had to say about it. "Maintaining the quality of The Handmaid's Tale, which is impeccable, takes time. We wanted to give the show enough time to maintain the incredibly high standards of storytelling set in seasons one and two. The season three episodes, all of them, [will be] eligible for the Emmy body when the show is qualified." Interestingly, this move will take The Handmaid's Tale out of contention for the Emmys this year, as the official cutoff is on June 1. So they'll have to wait until next year to see the show (potentially) nominated for best drama series. Craig Erwich was specifically asked at one point of the decision was motivated by HBO debuting Game of Thrones in April, which will surely be dominating the TV headlines during that time. "No it doesn't. We wanted to give the show as much time as possible to maintain the quality that it has." Even if Hulu won't state publically that avoiding Game of Thrones was a motivating factor, it's certainly a happy coincidence. As for what to expect when the show returns? Season 3 will center on Offred/June's (Elisabeth Moss) resistance to the dystopian regime of Gilead and her fight to strike back against odds that are undeniably stacked against her. June will be searching for Hannah (Jordana Blake), her younger daughter, within the oppressed land of Gilead. The series was created by Bruce Miller and is based on Margaret Atwood's 1985 novel of the same name. Hulu has earned heaps of praise for the adaptation and Elizabeth Moss, specifically, has earned two Golden Globes for her portrayal of Offred. The show has won 11 Emmys, with a total of 33 nominations. The Handmaid's Tale season 2 saw a massive ratings boost and, without the competition from the world of Westeros breathing down their neck, Hulu can likely expect another boost with season 3. This news was previously reported by The Hollywood Reporter.